What makes for a successful winter holiday? The ski resort should have well-prepared, varied slopes, and guaranteed snow is a prerequisite. Slopes for freeriding, snow parks for jumps and modern facilities are all ‘must-haves’. 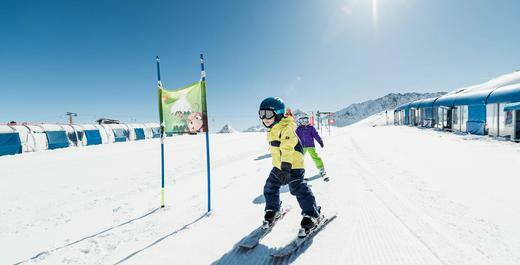 Children should have age-appropriate supervision, which enables them to enjoy improving their ski skills. And there should be plenty of opportunities on hand before, after and beside the ski slopes to make your holiday as entertaining as possible. The Stubai Valley manages to meet all these requirements in a comprehensive and competent manner. Sledding fun is guaranteed with the Stubai Valley’s eleven natural toboggan runs. As all the runs have been tested according to the county of Tyrol’s strict criteria and designated with the ‘Tyrolean Natural Sledding Run’ quality mark, they have the highest standards of quality and safety. For those who do not wish to walk the trails, the Serlesbahnen in Mieders, the Elferlifte in Neustift and the operators of the Schlick 2000 resort offer transport that includes a toboggan, which can be rented right there on the day. At night the runs are even opened for night-time sledding. Two sledding tracks at the Elfer are illuminated three times a week, one of them with oil lamps, and the Schlick 2000 resort opens once a week for night-time sledding. Child-friendliness, comprehensive services, excellent childcare and supervision, and offerings that have been tailor-made for children are the characteristics that distinguish the BIG Family programme, available throughout the Stubai Valley. 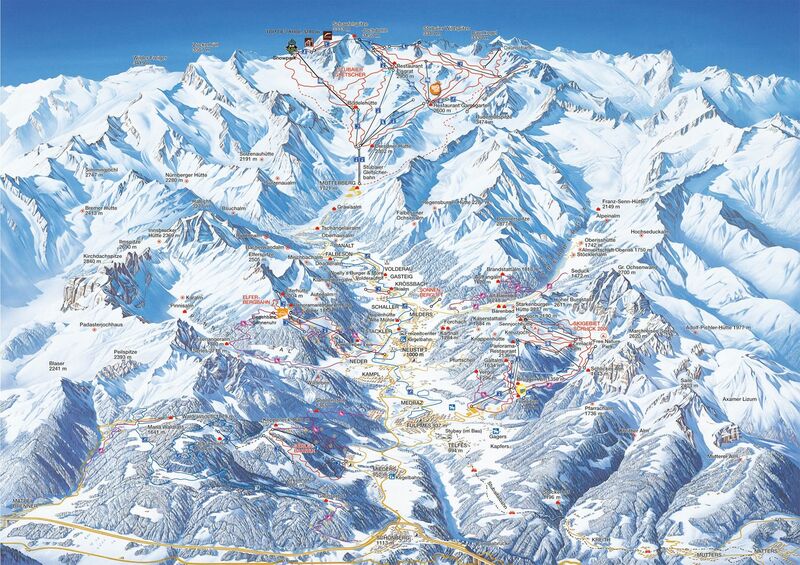 It is not surprising that the valley has been repeatedly named "the most family-friendly ski region in the Alps”. All four cable cars can be used for free by children under the age of 10 when accompanied by a paying adult. The alpine skier gets enjoyment from long distances or short energetic swings on perfectly groomed slopes. This is well-known by the operators of the four Stubai Valley ski areas: Stubai Glacier, Schlick 2000, Serlesbahnen Mieders and Elferlifte Neustift.